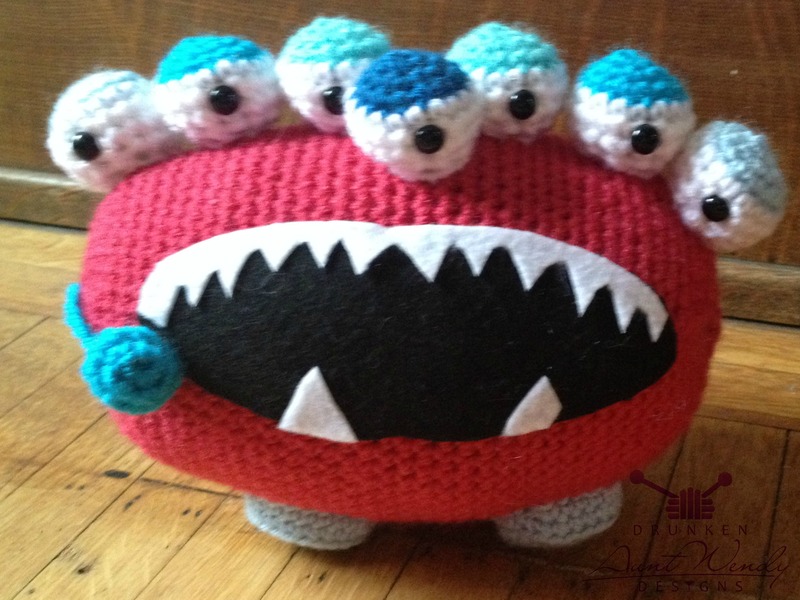 I am taking the design your own monster class on Craftsy. It inspired me to create this guy over the weekend. I couldn’t resist all the eyes. Everything I sketched had crazy eyes. I still need to run through my pattern and take how to pictures before I can post the pattern. I think this one is going to be a free one. Hopefully I’ll have it up next week, provided the kids have school every day this week. A girl can dream.